A couple of thoughts provoked by my trip to Labour Party Conference, one on the value of copyright, one on solidarity and one on the unfinished Hargreaves Review reform, the establishment of a digital exchange. One of the theories of markets is that they anticipate change. It’s why real option investment appraisal works. Since copyright traders are in a market where they can buy transferred work artefacts by paying wages or agree to royalty schemes, does the legal establishment of royalty income, suppress the wage rates that those who wish to provide creativity through an employment contract. This might well be true in music, but would seem to be less so in film, where only mega stars can earn ‘points’, most people involved in making films and TV are paid wages, or time based service contracts. Royalty schemes certainly mean that the publisher can share the financial risk with their suppliers. There is little doubt that royalty schemes work in favour of the successful. Sometimes they are accidentally discovered, as in the case of JK Rowling, but at other times they are manufactured as in the case of the X-Factor. I am not suggesting that the winners aren’t talented, but one of their success criteria is their willingness to work for royalty. What impact does royalty have on bands that don’t have contracts? Does it suppress their earning because they might earn humongous moolah tomorrow? I think there’s some similarity with the housing market. There is the choice to buy or rent, a one off payment versus a continuous revenue stream and both are influenced by the cost of money. The price of housing is the result of transactions in three markets, the fixed price, the variable price and the money markets. Back to the text books for me, but I think there is something here. The market distorting impact of copyright will affect the cost/price of royalties and the cost of the fixed price work contract. I am just not sure of the directions. It’s clear to me that the leadership of the Musicians Union consider that royalty income is the best way for musical creators to earn a living, possibly in the case of those who can’t perform their own work the only way. However it needs to consider how successful it is in defending the earnings of its members and how successful they are in organising their industry. An organisation that spend more time and money lobbying for laws than organising the workplace isn’t a Union in my book. What’s the difference between it and the independent contractor organisations that exist in the IT, and other, industries, who fundamentally undermine the Unions’ abilities to organise. Of course, Bridlington means that no other TUC affiliated Union can organise the Musicians. While I consider the use of legislation to reinforce both workers and unions powers important, legitimate and necessary, is the court the first place workers should be going to get decent behaviour from employers? 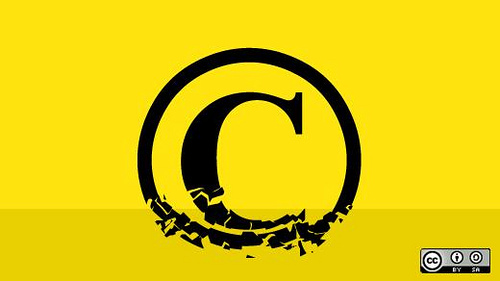 The final thought is that once a piece of work is copyright protected then the price can no longer be subject to a nexus of supply and demand. Economists (and regulators) define a market where price can be determined by a single actor as imperfect and monopolistic; monopolies are considered against the public interest. One of the side effects of digitally and legally enforced monopsonistic supply is that what might usually be considered predatory behaviour i.e. price discrimination becomes possible, although seemingly not pursued. It’s one reason that they think that pirates ‘steal’ £400m p.a. from them; the reality is that the effective demand isn’t there. The consumers who receive pirate digital content won’t pay that much; the money’s not there. It’s highly likely that a market price would be lower than that set by the distribution monopolists. The welfare economic equilibrium almost certainly predicts that the price should be lower. A piece of evidence is the pre-internet monopoly investigations into audio CD prices. The Hargreaves Review proposed a Digital Exchange, if it could be created it would be a public benefit. Vendors would know what the market price for content is, purchasers would have certainty and also have confidence that the price was a fair and even economically optimal. It would be a step on the way to answering Simon Indelicate’s question to a photographer who asked why people should have the fruits of his labour for nothing; he asked why should you get more than the market rate. Hargreaves is clear though, this won’t happen unless the copyright owners want it and they’ll need to understand the benefits before that happens. The featured picture is by marfis @flickr CC 2011 BY-SA.